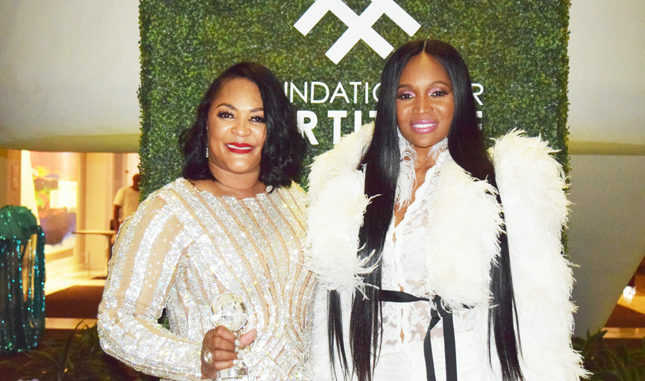 Local entrepreneur Sherry Blue held her Foundation for Fortitude all white attire fundraising benefit this past weekend at the Haskell Building. Foundation for Fortitude provides scholarships and mentors for young women at area colleges and engages them in community outreach. Participating students are required to engage in community service projects and volunteering at local agencies throughout the first coast. The Pure White Affair was hosted by Marlo Hampton of The Real Housewives of Atlanta reality television show. Hundreds attended the event to applaud Sherry for her passionate outreach to mentor young woman. Guest speaker Marlo Hampton, a fashion enthusiast and entrepreneur spoke to the audience about her foster care upbringing, her entrepreneurship experiences and her Glam it Up Girls non-profit program that empowers young girls in foster home situations, by taking them to brunch, taking them shopping and introducing them to concepts such as money management and good personal hygiene in order to propel them triumphantly into adulthood. Sherry and Marlo teamed up to strengthen, empower and encourage young women on the first coast to encompass a lifelong foundation of fortitude. “I’m always excited to mentor young girls; when I was young and in college, I did not have a mentor. 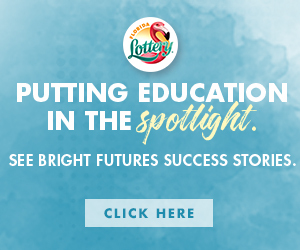 My main goal is to enforce that the obstacles I went through can be avoided and being a successful young lady can begin now,” said Sherry Blue.